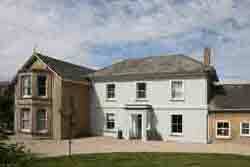 Moonfleet was formally a surgery but has recently been used as a family home. There is the capacity, with some internal reorganisation for about 20 residents and generous communal rooms, manageable grounds, outbuildings and ample parking. The village has very good amenities, particularly a laundry and medical practice. There is currently only one other small care home in this developing location close to Sherborne. The Management of this Luxurious Nursing Home located in the beautiful Sunny Country of Limassol Cyprus. Vermont Lodge is a 24 hour, supported residential home for people with learning and mental health disabilities. Established in 1994. Located in a quiet suburb, 6 miles from Central London. Centrally located to shops, cafes and transportation. 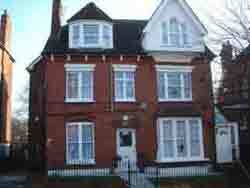 Vermont Lodge is a large, 4 level, detached Victorian home with: 14 bedrooms. Full central heating. Smoke detectors/sprinkler system. CCTV system. Current full occupancy with most residents residing over 10 years. Going concern with support staff and long term manager. Good income. The site is situated on the former A120 – now B1256 – opposite our site is a new residential development named Priors Green with 800/900 residential dwellings - incorporating shops and a doctors surgery. The above site measures 1.17 acres – being a perfect rectangle - and currently enjoys a clear site with the benefit of two entrances. We feel with all the additional residential development in the area, our site has the potential to build a 60 (minimum) to 70 bed care facility. The site is accessable from the M11 -5 miles distance and 2 miles from the new A120 bypass to Dunmow, Braintree, Chelmsford and Colchester etc. Burlington Retirement Apartments one and two bed roomed luxury apartments with close care for those golden years to come. 5 Borders Avenue Kirkby in Ashfield, Nottinghamshire detached property four bathrooms, function room, parking for approx 10, fifteen bedrooms, four reception rooms two offices.